Myanmar, with its numerous magnificent Buddhist temples, has become the most appealing and exotic destination in Southeast Asia, even to other ASEAN fellows. The country only opened up itself in 2012, and only from Oct 2013 could a Vietnamese passport holder like myself enter the border without having to acquire a visa. Most people say now is the good time to visit Myanmar before it is fully touched by Western influence, but my feeling from a week rushing across the country (23-31 Aug 2014) is that it is already quite integrated. And someone even said to me Myanmar would develop fast, even quicker than Vietnam before. Perhaps. 1. Traveling in Myanmar is NOT cheap. I often say traveling in Laos is more expensive than in Vietnam, then traveling in Myanmar is even more expensive than in Laos. Note that fact and prepare your budget. I say, modestly you would spend USD 300-500 in a week. There are entrance fees for Bagan and Inle Lake (we skipped Mandalay so I don’t know if there is any entrance fee there), there is no entrance fee for Yangon but tourists have to pay to go in almost all of tourists’ attraction sites here. 2. Internet in Myanmar runs at snail’s pace. It almost doesn’t work in Bagan, and is very limited and slow in Inle Lake and Yangon. Thus, write down and print everything you need in advance. 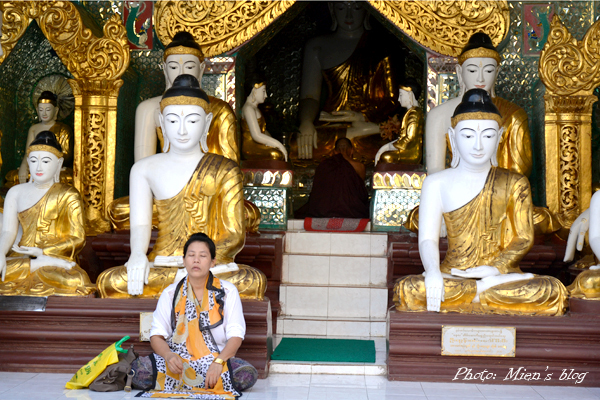 This entry was posted in Abroad Travels and tagged Myanmar, Travel tips, Vietnam Travels.